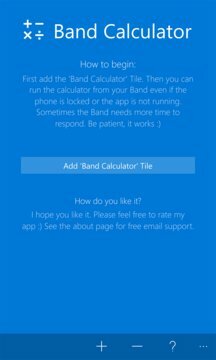 Band Calculator is the first calculator for Microsoft Band 2. Just add the Band Calculator tile to your Band and calculate whenever you want to. 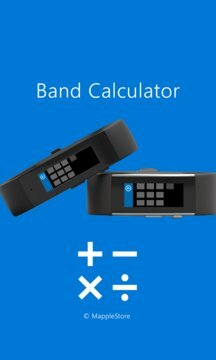 With Windows 10 and the Microsoft Band 2, you can use the calculator without running the app / without taking out your phone. You need a Microsoft Band 2. Have fun and rate the app!